Glen Johnson has been withdrawn from the England squad through injury, and has been replaced by Burnley defender Michael Keane. 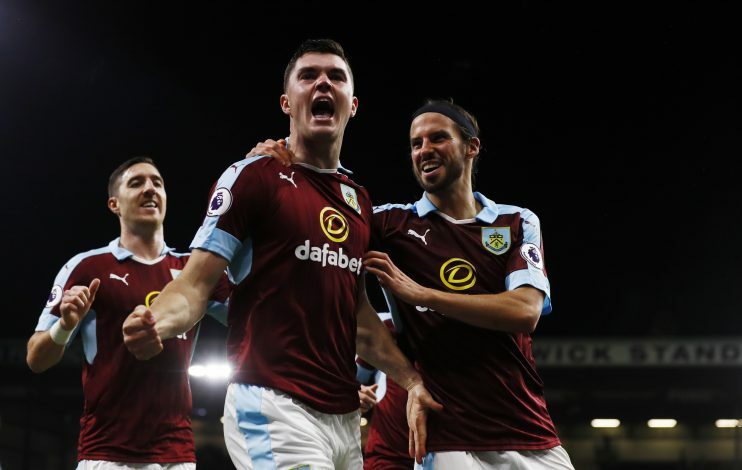 Michael Keane, who had previously never received an England call-up, is in contention to feature during the Three Lions’ World Cup qualifying matches against Malta and Slovenia. Johnson was already a surprise call-up in Southgate’s squad after the full-back hadn’t featured in International football for over two years, but he missds the chance to play for England after being forced out with an injury. Keane, a former Manchester United player, plays in a more central defensive spot, meaning that the current England squad only has one recognized right-back, Kyle Walker. Nathaniel Clyne, an England regular, was also forced to the sidelines after suffering a knee injury, although Southgate already explained that he seeks a balance of youth and experience in his England squad. Michael Keane, 23, will be hoping to make his senior England debut after already representing the Three Lions at U19, U20, and U21 levels. Gareth Southgate has managed Keane before, whilst he was in charge of the England U21s. Keane made 16 appearances within 3 years at U21 level. Keane has been a crucial member of the Burnley squad in recent seasons. He initially joined the club on loan from Manchester United in 2014. He made 46 appearances last season, helping the side to promotion, and has so far been solid at the back this season. Speaking earlier this week, Keane revealed how he had shunned Ireland for the chance of a shot with the Three Lions. “Now I’m in the Premier League, I think that’s got to be my aim. I want to play at the top level of English football and playing for England is the pinnacle of that,” he said.